Having a valid will in place is key to providing an inventory of property and assets and can help ensure your loved ones are provided for in the event of the unexpected. However, including a trust in your estate planning documents allows you more control in exactly how these assets are distributed. By specifying terms for distributions, it allows you to protect and help those you care about in a variety of situations. One of the most commonly cited benefits of creating a trust is that it can generally allow you to avoid New York Probate Court proceedings. 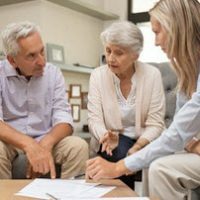 If a trust is funded and set up properly by an experienced estate planning attorney, it stands as a separate legal entity. As a result, it is not subject to what can be often time consuming and costly probate processes and procedures. Elderly friends and relatives: If you regularly provide care and/or financial assistance for an elderly loved, a trust can be established which allots certain amounts of money for food, housing, and nursing care. Handicapped loved ones: If loved ones suffer from permanent handicaps or impairments that prevent them from working or providing for themselves, you can set up a trust providing a regular monthly income, which provides for the basic needs. Pets: Many of us have beloved pets which are like family members. Rather than seeing them go into a shelter in the event of your passing, you can fund a trust naming a certain individual to provide for them and funding the costs associated with food and veterinary care. Future generations: CNN Money advises that a generation skipping trust can be a good way to provide for future grandchildren or even great grandchildren, allowing you to pay for items such as college expenses, wedding gifts, or a downpayment on a home. Loved ones battling personal problems: If you have a friend or loved one dealing with personal issues, such as addiction, a trust can set boundaries. You can fund a visit to rehab and specify distributions only after when the person is not using. For professional legal guidance on the various ways you can protect and assist loved ones through estate planning, reach out Cavallo & Cavallo. Contact our New York estate planning attorneys and request a consultation in our Bronx or New Rochelle office today.